How the fiasco surrounding Thurrock FC’s points deduction and subsequent relegation and appeal could cause havoc for the upcoming Ryman League Premier Division. The whole mess stretches back to 2011, when Joel Barnett was playing for Wilton in the Wakefield & District FA League Premier Division. The club folded during the season with unpaid fines. Under FA rules, the players are liable for the fines if a club folds, and are subsequently issued a sine die (meaning indefinite) suspension. These suspensions are immediately lifted upon payment of the fine. In Barnett’s case, his share of the fine was just £16. Sixteen pounds! So, why hasn’t Barnett paid his share of the fine yet? Well, it seems he was unaware of his share of the responsibility as far as Wilton’s fines were concerned. This is because he was jailed in October 2011 for football hooliganism, along with his father and two brothers. The Huddersfield Town fan was convicted of affray after violence towards other Town fans, stewards and police following their League One Playoff Final defeat to Peterborough at Old Trafford in May 2011, and of criminal damage for defecating in a police van following his arrest. This could mean that he would never have received any correspondence regarding his liability with regard to Wilton’s fines. Fast forward to last summer, and Barnett spent preseason with Conference North outfit Bishop’s Stortford, playing a handful of their preseason friendlies. Stortford face FA sanctions, although it is likely that they will “only” be hit with a fine as there were no league points at stake in the games in which he featured. He then moved on to Thurrock, and it’s here that things start to look a bit dodgy. He played four games for The Fleet, one of which resulted in a victory over Lewes. Under FA rules, if a club fields an ineligible player, any points won in matches featuring said player must be deducted. In Thurrock’s case, they won one of the four matches in which Barnett played, and where therefore docked three points. Unfortunately for them, this deduction has lead to them dropping to the bottom of the Ryman League Premier Division table, and they have been relegated to Division One North, and in turn handing a reprieve to Carshalton Athletic. This, though, isn’t the end of the story. Far from it. Barnett then moved to Tilbury, in Ryman Division One North. During his time there, the club won eighteen points with him in the team. These points were deducted as Tilbury’s punishment, but unlike Thurrock, their penalty wasn’t enough to relegate them. It was only when Harlow Town tried to sign him that his suspension came to light. The question is: if they found the suspension, through the same association that Tilbury and Thurrock are affiliated with, why didn’t it come to light sooner? Thurrock appealed their points deduction and relegation, an appeal they lost recently. Before the appeal was heard, the club had threatened to take the case all the way to the Court of Arbitration for Sport if necessary, which now appears to be their only route to salvation. Their appeal was based on the opinion that Barnett’s registration form with Wilton was forged, and therefore invalid. However, if their appeal has been rejected at this level, what are their chances that CAS will see it differently? The Ryman League are due to release their fixtures on Monday, July 15th, with Carshalton in the Premier, and Thurrock in Division One North. However, everyone concerned with both clubs must now wait for Thurrock’s decision on whether they will appeal the FA’s decision. It must be particularly hard for Carshalton. How do they go about setting their budget for next season if they are not one hundred percent sure which division they will be playing in? How do they start to assemble a squad when they cannot categorically tell players which division they’ll be playing in? There is a deadline coming up where clubs must have a minimum number of players registered, but how can either club submit this if Thurrock carry on with the appeal? The whole situation is a sorry mess, and it needs sorting out quickly. My initial opinion is that maybe Thurrock should take it on the chin and accept their punishment. But then if they are threatening to take the case to CAS, and in turn cause a delay of up to a month to the start of the Ryman league season, they must be confident that they are in the right. Chairman Tommy South has been very forthright in his views on the matter, and has accused the authorities of stitching his club up. They have already been placed in the Preliminary Round in the FA Cup draw, a draw that took place before the appeal was heard. Clubs from the Ryman Prem enter one round later, and Mr South therefore says that the decision was made long before the appeal. The club’s board are due to meet next Wednesday, two days after the fixtures are released, to discuss their options regarding taking the case to CAS, and they may even apply for an injunction to delay the start of the league season. I hope that this situation gets resolved quickly, as it threatens to drag the good name of the Isthmian League through the mud. 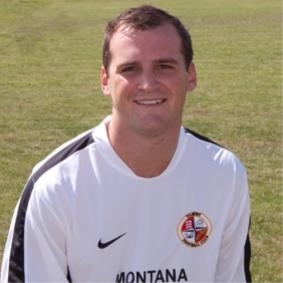 Posted on July 11, 2013, in UTL Archive and tagged Carshalton Athletic, CAS, Court of Arbitration for Sport, Isthmian League, Joel Barnett, Ryman League, Thurrock FC. Bookmark the permalink. 1 Comment.